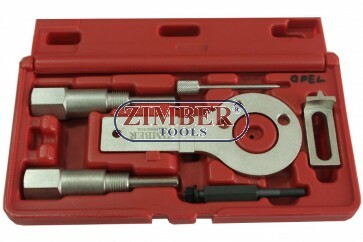 Applicable for Opel 1.9 CDTI diesel engines (Z19DT, Z19DTH) e.g. Opel Vectra, Signum etc. To prevent the engine shafts (e.g. camshaft, crankshaft) from turning or to keep them in a specific position and to adjust the timing belt or during other engine repairs.